Peter Michael Winery needs no introduction. Year after year their exquisite, artisan releases bring pleasure to people all over the world, and it all started in 1982 when Sir Peter Michael founded the winery on a square mile of rocky volcanic ridges on the western face of Mount St. Helena. From the beginning, the philosophy was modeled on French winemaking tradition and governed by three principles: the vineyard terroir would be the single most important feature, the wines would be lightly elegant rather than powerful and a hundred-year commitment would be made to the development of a great estate. 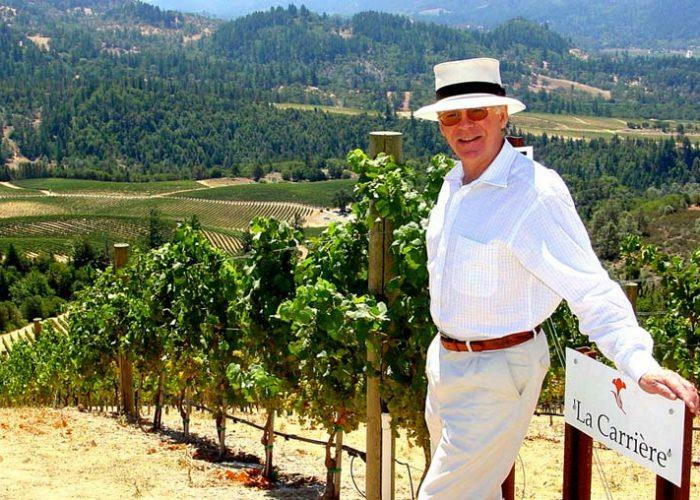 Peter Michael is the only winery in Knights Valley. Its original winemaker was the famous Helen Turley, followed by Mark Aubert and Luc Morlet. Currently winemaking is under the leadership of Nicolas Morlet, Luc's brother, whose extensive experience with Bordeaux and Burgundian style viticulture and winemaking lends itself well to the Peter Michael mission of producing single-vineyard, limited production bottlings from small, mountain vineyards. James Suckling 99 "Extremely perfumed with iron, clay and currant character. Copper pennies and hints of steak. Then this turns to flowers, iodine and oyster shells. Full body that's juicy and defined by hefty blackcurrant flavors and real meatiness. Dark-chocolate and orange-peel undertones. James Suckling 98 "The purity of fruit here is impressive, with raspberry, iodine and hints of mussel shell. Créme de framboise. Full body with firm, silky tannins and a long finish. The aromatics are crazy here. Great tannin structure. The finish comes out of nowhere with aniseed. (10/ 2014)"
Robert Parker 93 "The 2009 Chardonnay La Carriere (1,900 cases produced) reveals lovely notes of brioche, tropical fruit blossoms, oranges, white currants and lemon butter. Medium-bodied with beautiful fruit, good acidity and a touch of minerality, it should be enjoyed over the next 5-6 years." Robert Parker 97 The 2007 Les Pavots, a Bordeaux varietal blend of 70% Cabernet Sauvignon, 17% Cabernet Franc, 10% Merlot, and 3% Petit Verdot, is brilliant. Its opaque purple color is accompanied by gorgeously complex aromas of melted chocolate, espresso roast, blackberries, and cassis.